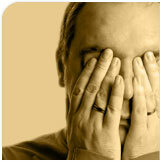 What exactly is a Cluster Headache? 1)	Severe unilateral headache in the orbital, supraorbital, or temporal region lasting 15 minutes to 3 hours. 2)	The frequency of headache must vary between one every other day, up to 8 per day. Cluster headaches are considered episodic if they come for 7 days to one year apart with at least a 2-week, pain free break. They are considered chronic if they last longer than one year without a 2-week pain-free break. So what is paroxysmal hemicrania? The headaches are shorter and tend to occur more frequently. Not all of the headaches are severe. It is important to keep an accurate history of the headaches in order to help Dr. Loftus or your neurologist correctly diagnose the headaches.